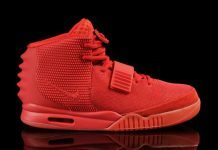 Yesterday, Modern Notoriety gave you a list of shoes that could possibly be featured on the Nike Air Yeezy 2. 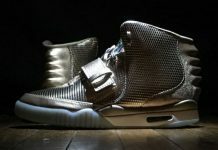 The first version was made up of Kanye West’s favorites and now, the 2nd version may feature a few different parts of the Air Tech Challenge II, a 3/4’s cut, Air Jordan XX3 and the Nike Air Max Lebron 8. If You take a close look at the front, You can see the Yeezy 2 sharing a similar toe box as the Lebron 8 along with the build on the upper. Let us know what you think!